Even death can’t escape the digital revolution. Important personal assets that could be held in your hand have morphed into digital likenesses that are difficult to locate and manage after you’re gone. And that’s not all. The Internet has given rise to new types of “digital” assets that you use ever more frequently such as email, social media, and online financial services. How will these assets be handled after you’re gone? Will your estate executor have the technical skills needed to locate, protect, value, and distribute your digital assets to family members and other beneficiaries or should you name a digital executor to work with the estate executor to ensure that your digital property and assets are handled according to your wishes? This initial series of blog posts will focus on the digital executor and the important role they play in modern estate planning. This post is the only one in the series written specifically for the estate owner and not the digital executor. After reading this article you should be able to determine if your estate plan would benefit from naming a digital executor, understand key attributes and skills to consider when choosing a digital executor, engage in a meaningful initial conversation to cover important topics concerning your digital estate, and include your estate attorney in the process. A good understanding of a digital executor’s responsibilities, tasks, and goals will provide a foundation to the decision you face on whether you should include a digital executor in your estate plan. What is the Digital Executor’s Role? A digital executor, similar to the role of an estate executor, must marshal digital assets, procure any digital assets that are not in the digital executor’s possession, protect and preserve these assets, and ultimately distribute or destroy them as specified in the decedent’s estate plan. Here is a more detailed view of the primary tasks under each of these main areas of responsibility. Do I Need a Digital Executor? Eventually, an administrator, executor, personal representative, or other fiduciary will be faced with gathering all of your possessions and assets and distributing them according to the directions in your will or trust. Depending upon how digitally “involved” (evolved?) you are, settling the digital assets in your estate could be a relatively easy task for a layperson or a challenge even for someone technically adept. Mylennium's Digital Estate Assessment is a free online tool to help you evaluate your digital footprint. After completing this questionnaire you should also have a better assessment of the breadth and scope of your digital assets. As an example, the number digital photos is less a factor than than the number of your devices and online services that store these photos and Terms of Service limitations that could prevent another party from accessing your online photos. If you answered “yes” to any of these questions then some raised level of technical acumen is likely required to successfully locate, protect, and distribute your digital assets. Perhaps your fiduciary has the skills needed to navigate through your digital world. A "yes" on several questions indicates that you need a fiduciary with enhanced technical experience and skill. Let’s look at how you can determine if an individual has the right qualifications to fulfill the role of a digital executor. A digital executor needs a combination of technical skill, business acumen, and the willingness and ability to collaborate with the estate executor or trustee(s). While a digital executor should possess the same personal characteristics valued in an estate executor, the technical expertise required for the digital executor is an indispensable qualification. The digital executor will encounter complications and roadblocks as they work to locate, protect, and distribute your digital assets. Common challenges will include an incomplete inventory of digital assets, missing online account credentials, encrypted data, and Terms of Service agreements that limit or preclude third-party access to some of your online accounts. Settling a digital estate will require many hours of work extended across several months so be sure the person you select is committed to see the task through to completion. Does the person you selected as your estate executor have the attributes needed to also serve as a digital executor? While this may be the case, you should also consider the challenge of dealing with your digital assets and if the executor is willing and able to handle the digital portion of your estate in addition to everything else. With your understanding of the characteristics and qualifications needed in a digital executor, you might identify a family member or close friend that can fulfill the role. If no one seems to be a viable option, you should consult with your estate attorney who may be able to make a recommendation. If you are unable to identify a candidate, the fiduciary responsible for settling your estate will, by default, fill the role of digital executor. They may elect to hire an outside resource, such as Mylennium, to provide professional digital executor services to help them settle the digital assets in your estate. There’s no better way to ensure that, after your passing, your digital estate is handled as you wish than to discuss your digital assets with the newly anointed digital executor. Since there are so many technical details associated with your digital assets, we find that the best way to prepare for an initial discussion is to first complete your digital asset inventory. Using the inventory as a framework you should be able to discuss with the digital executor your digital assets that have significant monetary and sentimental value. Digital asset inventory: Discuss how you plan to provide the inventory to your digital executor after your passing. 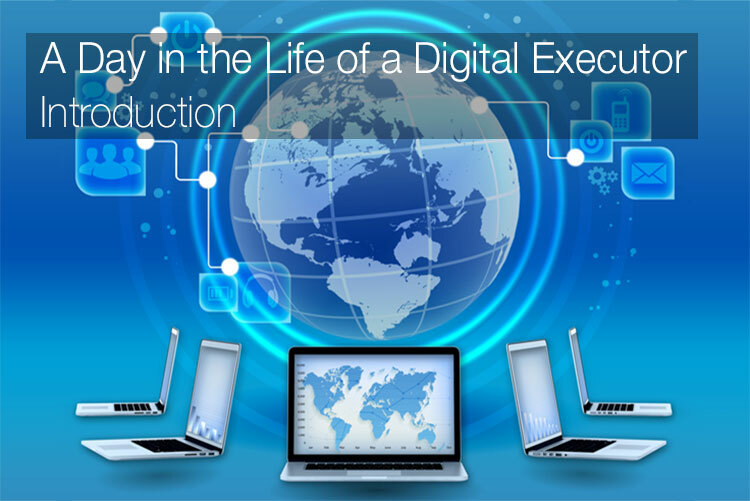 It’s likely that the inventory details will change significantly before it is needed by the digital executor. Mylennium can provide a sample digital asset inventory report as an example of the type of information that will be included. Your device or account usernames and passwords should not be included in the inventory as this is where the importance of password management software plays an important role. Password management software: Prior to your initial discussion you should be using your preferred password management software to manage your usernames and passwords. Let your digital executor know which software you use so they can become familiar with it as well. Also, cover any two-factor authentication systems you use to protect specific accounts. Encryption: Encrypted disks and files are excellent protection for important digital assets but they can make it impossible for anyone else to access the protected assets. Make sure your digital executor is aware of where you use encryption and the location of the encryption keys in your password management software. Email: Email accounts typically contain years worth of messages, some of which may contain extemporaneous thoughts that are better if they are long forgotten. Discuss how you want your email handled after you’re gone. Do you want anyone other than the digital executor to have access to your messages or should they all be deleted and the account closed after your estate is settled? Social Media: Your social media accounts likely contain many years worth of photos as well as personal and family history. Most social network sites provide the ability to download all of the digital assets from your account so they can be archived and shared with specific beneficiaries, even if you plan on having your accounts closed after your passing. Discuss how you would like your social media legacy and assets handled by the digital executor knowing that access to your account will be limited after it is “memorialized”. Your estate planning attorney will help you decide the manner in which your digital executor should be given authority or permission to oversee the settlement of your digital assets. Some possibilities include a legally recognized digital executor (currently not possible in most states), a co-executor, a supporting executor, individual with authority through a power-of-attorney. It’s important that your estate executor or trustee has the authority to hire professional help and use a company such as Mylennium to provide digital executor services. Because federal and state laws prohibit unauthorized access to online computer systems it’s critical that your estate plan provides your fiduciary the authority to act as account holder for all online accounts and access any of your digital assets stored on a remote computer device. Unfortunately, the Electronics Computer Privacy Act of 1984 does not require providers of “electronic communication services” and “remote computing services” to disclose any information they hold for the account holder, so even with your consent there may be legal barriers to your fiduciary’s access to your online digital assets. Your estate attorney will be able to provide you with information and direction on how to best allow an executor or trustee to handle your digital assets after you’re gone. Once you’ve finalized your selection process and included the necessary legal documents into your estate plan, you will have taken a big step forwards ensuring your digital assets will survive your lifetime and continue to provide value and enjoyment to future generations. While digital may be perfect, it is certainly not easy!